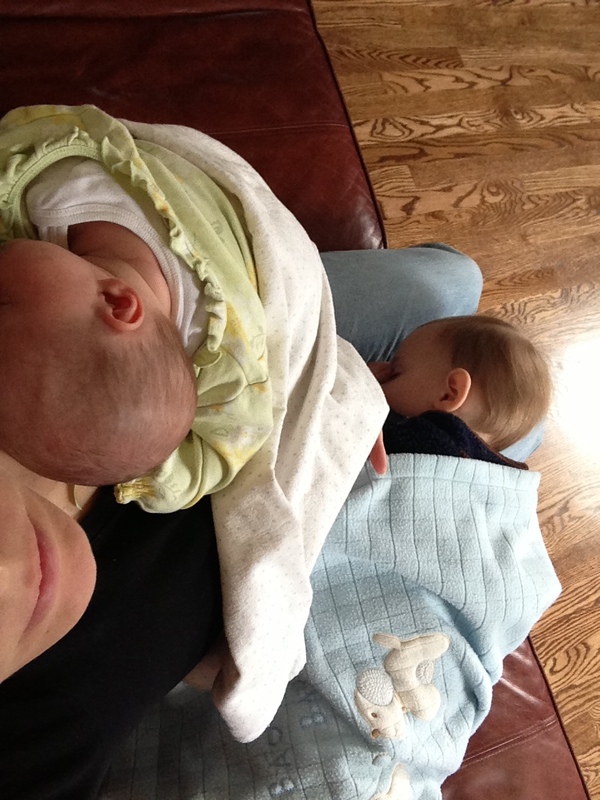 Only 7 weeks into being a mother of two, and I have a pretty good idea of why secondborn children are more laid back. While some recent studies have shown that birth order does affect IQ and personality, there doesn’t seem to be much more about this from a scientific standpoint. Here is my personal experience and observation. #2 Fusses for a bit while I am with the toddler, quiets down. When I check on her, she is sound asleep. These are funny, but the more serious side of this is that I have struggled with how to give attention to my two children. It is not an issue if one is content while the other needs something, but the reality is that this rarely happens; more often than not both need me at the same time. I have asked friends who are moms of two or more, and the answer is that you learn to manage each situation as it comes. Now I nurse the infant before the toddler’s dinner, and I am “wearing” my daughter a lot more than I did my son. Not only is it super comfortable for both mom and baby, but I have both hands available to do other things with the big brother. During long nursing sessions, I get books or paper and crayons to have my son right next to me for some quiet activities. Moms of two or more, what is your experience with how you cared for your firstborn as compared to your subsequent children? Our second born was exactly like you describe until the toddler year and up. The devil then comes out. The first born follows rules, the second breaks rules…..enjoy this now…:) Please check out lifewall.org and my goal of trying to start a global birth registry. Hopefully you get your two lovelies on there along with yourself. Great post. That is definitely coming our way. I am the second and baby of the family, and I for sure was more of a headache to my parents than my sister ever was. Thanks for reading and for sharing about your birth registry!